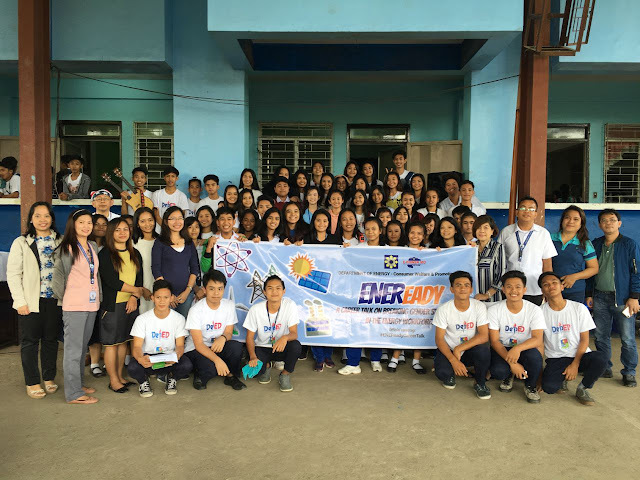 E-POWER TAGAYTAY SCHOOL: Over 150 Grade 10 students and teachers of Tagaytay City High School attended last December 6 the final leg of this year's series of DOE’s Career Talks on Breaking Gender Stereotypes in the Energy Workforce. Among those who joined them were staff of Consumer Welfare and Promotion Office headed by Chief Science Research Specialist, Helen B. Arias, Electric Power Industry Management Bureau and Energy Resource Development Bureau who informed them of the energy industry and the opportunities therein. The activity was part of the celebration of National Energy Consciousness Month. In celebration of National Energy Consciousness Month, the Department of Energy (DOE), through the Consumer Welfare and Promotion Office (CWPO), conducted the last leg of 2017’s Career Talks in the Tagaytay City High School on 6 December 2017. Principal, Dr. Florencio Costa, in his opening and closing remarks, extended his appreciation to DOE Secretary Alfonso G. Cusi for introducing the ENEReady Program to their Grade 10 students. “This activity is a welcome opportunity for our children to learn more about careers in the energy sector,” said Dr. Florencio. Resource persons from the CWPO, Electric Power industry Management Bureau, and from the Energy Resource Development Bureau shared their personal and work experiences, and showed the distinguished women leaders who managed the DOE and its attached agencies. The goal is to inspire students to take up courses in science, technology and engineering, because energy is seen to be among the top challenging sector of the 21st century. Over 150 Grade 10 students and teachers actively participated as they were provided guidance on how to plan their careers and have meaningful jobs in the future. The ENEReady is a continuing program of the DOE-GAD reaching a total of 2,115 students in ten (10) schools in the National Capital Region (NCR) and Region IV-A since its commencement in 2016. It is aligned with the E-Power Mo campaign of the DOE and aims to promote gender equality in the energy sector. “I hope the DOE will also be one of their lifetime partners in the same way as its regular visitors, such as DepEd, DOH, and PNP,” Dr. Florencio concluded. 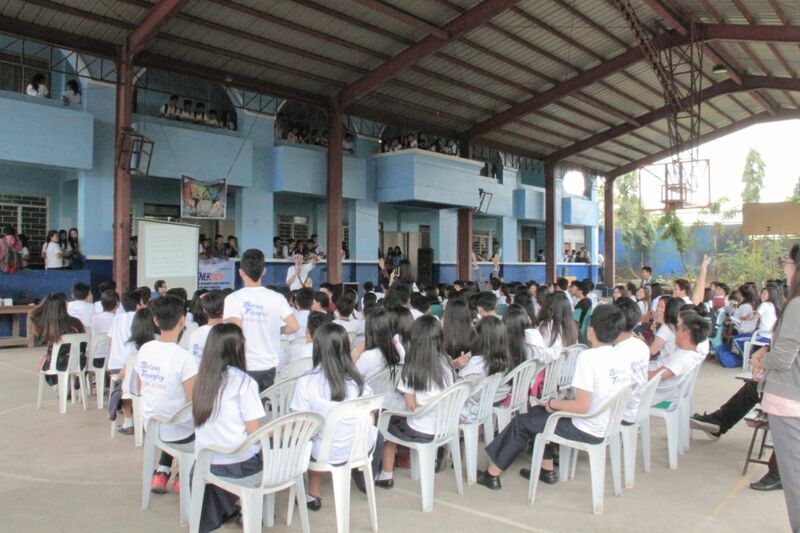 ENERGIZED STUDENTS: Grade 10 Students of Tagaytay City National High School listened intently to Engr. Eduardo B. Fernandez' lecture on breaking gender stereotypes in the power sector. There were a total of 150 student and teacher participants in the Career Talks on Breaking Gender Stereotypes in the Energy Workforce conducted on December 6 by the DOE-Gender and Development through the Consumer Welfare and Promotion Office in observance of National Energy Consciousness Month.